ANTI TEAR with 5 Year Warranty- Outer shell reinforced with unbreakable fiber embedded sheets. Retractable shock-proof liner, hidden pocket and user-friendly design, back massage design, it gives you intimate care indoor or outdoor. 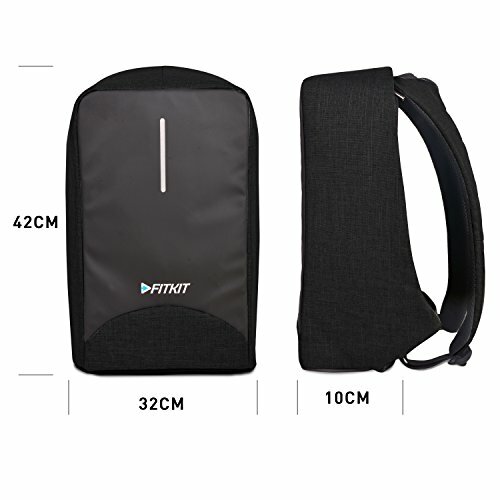 MULTI-COMPARTMENT BACKPACK - 30° or 90° adjustable main compartment Size: 31x14x46cm/12.2"x 5.5x 18.1inches equipped with varies function pockets for pens, phone, wallet and15.6 inches' laptop.